Timothy Little was all in preflop holding [As][Ts] but ran into his opponent's [Ah][Ad]. The [7h][Ac][8c] flop wasn't much help for Timothy, but the [9h] gave him an open ended straight draw. Unfortunately for Timothy, his miracle card did not come. 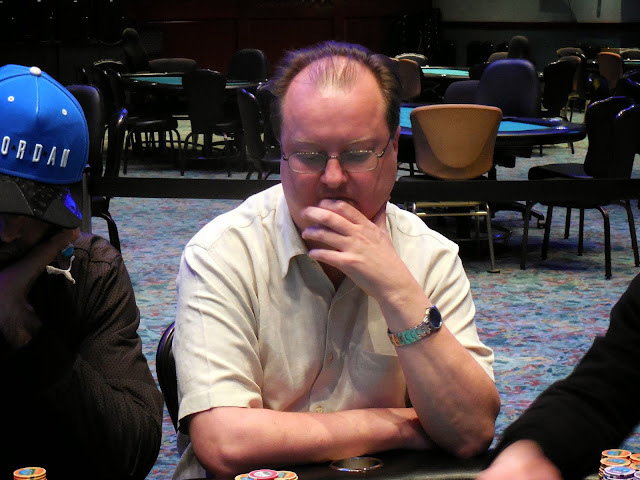 The river fell [7c] to send Timothy to the rail in 7th place, good for $1,745. Joe Labib was all in preflop holding [Ac][Qh] and was racing against his opponent's [9s][9c]. The [Ad][6h][8s] put Joe in front, and he needed to dodge a two outer. The [Ts] turn opened up four more outs for his opponent, and the [7h] was one of those outs. Joe's opponent had made runner-runner straight to eliminate him in 8th place. Joe will earn $1,373 for his efforts. 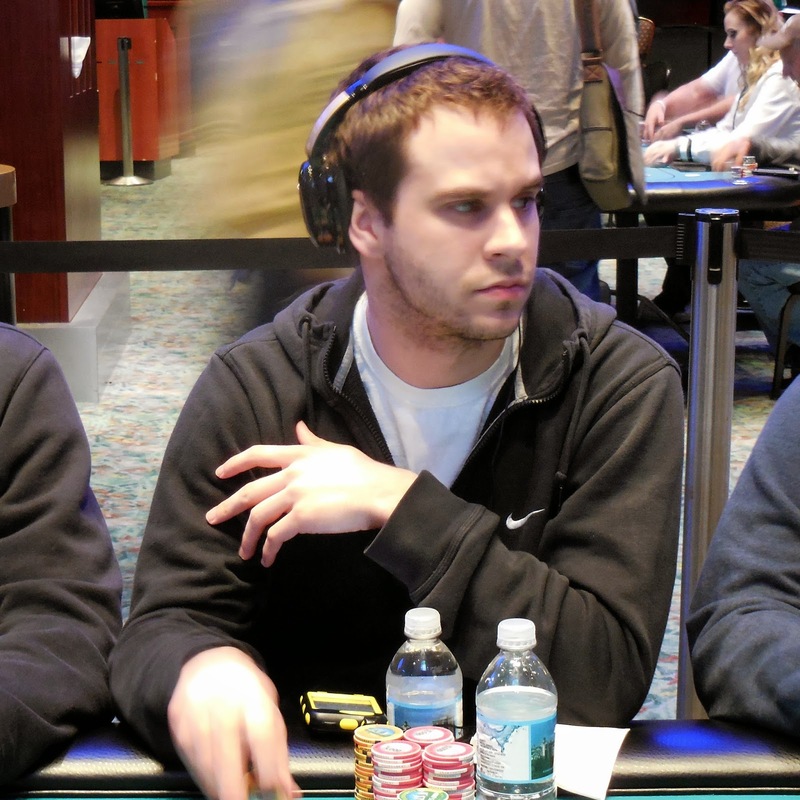 Jason Tulloss moved all in over a raise by James Campbell and James made the quick call. Jason's [Ac][7h] was dominated by James's [Ad][Qd], but the [6c][9s][6s] gave Jason some hope for a chop. The [5d] turn gave Jason additional outs for a gutshot straight, but the [As] river gave the pot to James. Jason will exit this tournament in 9th place, good for $1,095. A player only wanting to be known as "Blackjack" moved all in after Eric Rivkin opened the pot. Eric made the call, tabling [Ks][Kc]. "Blackjack" would need to get lucky with his [Ac][Qh], but the board ran out [2d][3c][8c][Js][Jh] to send "Blackjack" to the rail in 10th place, good for $887. The final 15 players in Event #7 $365 NLH are now in the money. All players are guaranteed $731, but all eyes are on the $12,124 first place prize and the World Series of Poker Circuit ring. We will be live streaming the final table at www.FoxwoodsLive.com when it begins. The board read [Tc][Jc][6c] and Wayne Kaufmann was all in. Jay Kovoor made the call, showing a flopped flush with his [Kc][8c]. 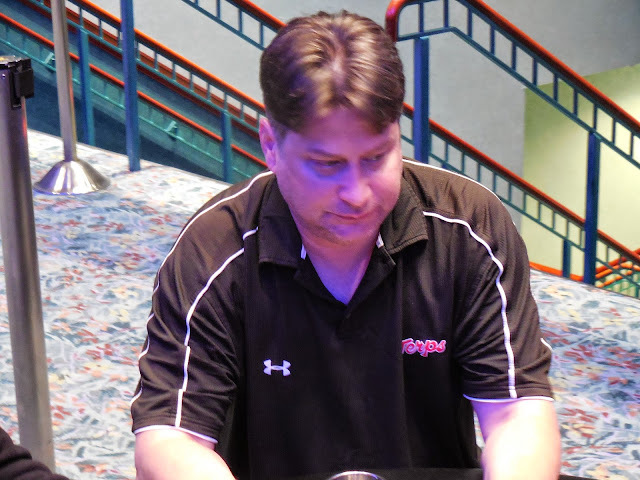 Wayne held [Qh][9c] for a straight and flush draw, but Jay had him drawing dead as he held blockers to both of Wayne's runner-runner straight flush draws. 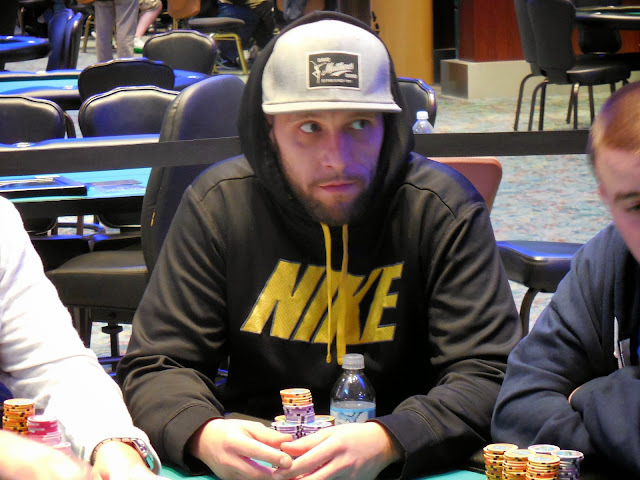 The board ran out [8d][6s], and Jay will win Event #5 $580 NLH for $54,445. On a [Td][7h][Ah][6c] board, Wayne Kaufmann bet out and Jay Kovoor-Chathoth moved all in. Wayne made the call, showing two pair with his [Ac][7d], but Jay had turned a straight with his [9d][8s]. Wayne called for the board to pair, but the [2d] hit the river instead. Jay's stack was counted down to 1,715,000, and he will double up. Jay now has the chip lead with 4,300,000 to Wayne's 1,700,000. 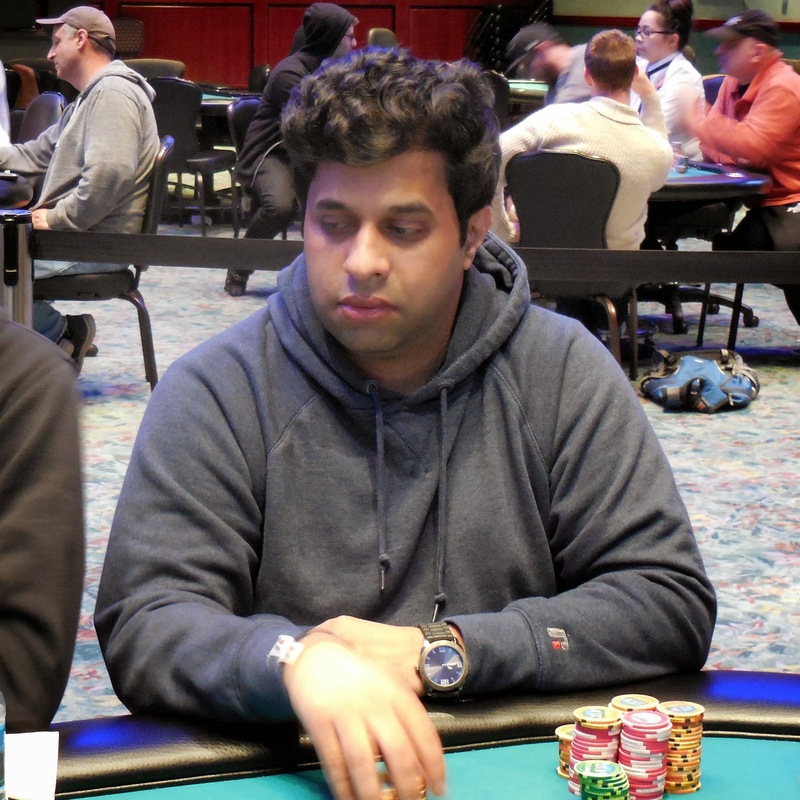 The final two players in Event #5 $580 NLH just played a big pot to nearly even the stacks. The board was queen high and on the turn with around over 600,000 in the pot, Jay Kovoor-Chathoth checked to Wayne Kaufmann. Wayne bet 420,000 only to see Jay check-raise all in for just over a million more. Wayne thought about it for a bit before folding, and Jay flashed a queen. Jay now has 2,500,000 to Wayne's 3,500,000, so this tournament is far from over with the blinds going to 30,000/60,000 in 2 minutes. At 25,000/50,000 blinds with a 5,000 ante, Jay Kovoor-Chathoth raised to 110,000 on the button and Wayne Kaufmann folded his small blind. Brad St. Vincent moved all in from the big blind, and Jay made the call. Brad was in bad shape with his [Kc][Jh] against Jay's [As][Jd], and the [6s][3s][Ad] killed almost all of Brad's hope to survive. The [3c] turn meant Brad was drawing dead, and he was eliminated in 3rd place when the meaningless [Kh] hit the river. Brad will earn $24,561 for his efforts. 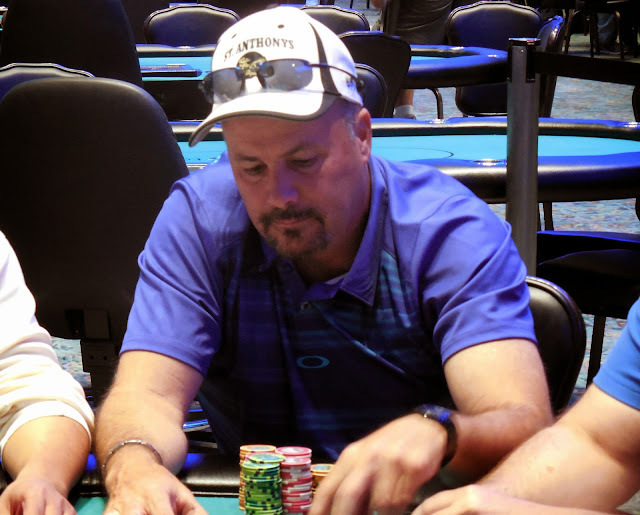 3 players remain, Wayne Kaufmann leads with 2,935,000. Play will resume at Level 28 (25,000/50,000 blinds with a 5,000 ante). Roland Israelashvili has defeated Thomas Balla heads up to win Event #6 $580 Six-Max NLH. 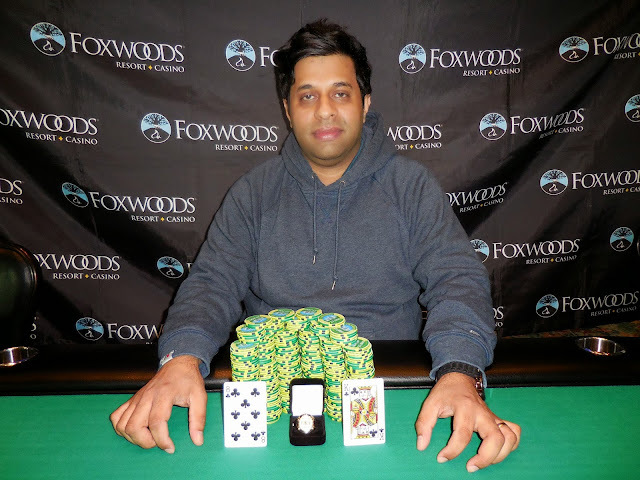 Roland will take home $12,485 and the World Series of Poker Circuit ring. Entering heads up play, Thomas Balla had a chip lead over Roland, but Roland stole the chip lead away when he hit a lucky river to survive. Roland had a flush draw and got all in with one card to come against Thomas's trip fours. Roland hit a diamond to take over the chip lead. Not much later, Thomas was all in on an ace high flop holding ace-five but was in bad shape against Roland's [Ac][Jc]. 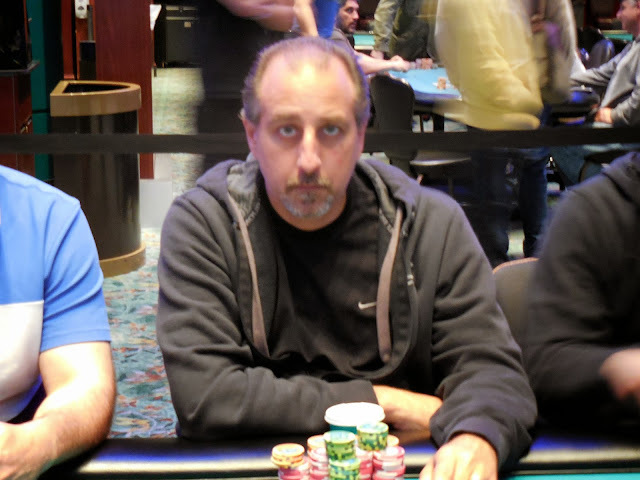 No three outer came, and Thomas was eliminated in 2nd for $8,354. 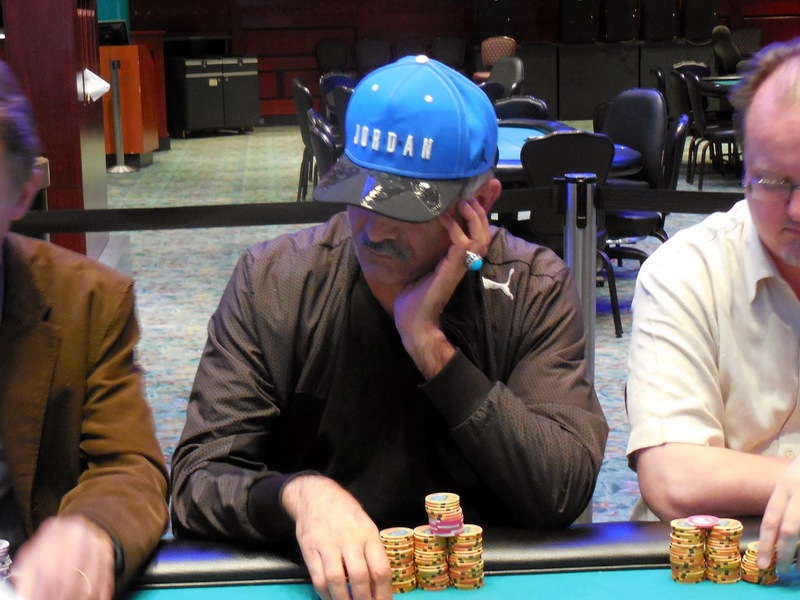 Wayne Kaufmann opened the pot before Michael Savino moved all in. Action folded back to Wayne who thought about it before calling. Michael exposed his [Qs][Qh], which was way in front of Wayne's [6d][6c]. The [4c][Jd][5c] changed nothing, but the [7s] gave Wayne an open ended straight draw to go with his pre-existing two outs. The [3d] river completed that straight, eliminating Michael in 4th place. He will earn $18,231 for his efforts.